Evidence that humans can genetically adapt to diving has been identified for the first time in a new study. The evidence suggests that the Bajau, a people group indigenous to parts of Indonesia, have genetically enlarged spleens which enable them to free dive to depths of up to 70m. It has previously been hypothesised that the spleen plays an important role in enabling humans to free dive for prolonged periods but the relationship between spleen size and dive capacity has never before been examined in humans at the genetic level. The findings, which are being published in the research journal Cell, could also have medical implications in relation to the condition known as Acute Hypoxia, which can cause complications in emergency medical care. For over 1000 years the Bajau people, known as 'Sea Nomads', have travelled the Southeast Asian seas in houseboats and collected food by free diving with spears. Now settled around the islands of Indonesia, they are renowned throughout the region for their extraordinary breath-holding abilities. Members of the Bajau can dive up to 70m with nothing more than a set of weights and a pair of wooden goggles. As they never dive competitively it is uncertain exactly how long the Bajau can remain underwater, but one of them told researcher Melissa Ilardo that he had once dived for 13 minutes consecutively. Ilardo, first author on the paper, suspected that the Bajau could have genetically adapted spleens as a result of their marine hunter-gatherer lifestyle, based on findings in other mammals. "There's not a lot of information out there about human spleens in terms of physiology and genetics," she said, "but we know that deep diving seals, like the Weddell seal, have disproportionately large spleens. I thought that if selection acted on the seals to give them larger spleens, it could potentially do the same in humans." The spleen plays a central role in prolonging free diving time as it forms part of what is known as the human dive response. When the human body is submerged under cold water, even for brief amounts of time, this response is triggered as a method of assisting the body to survive in an oxygen-deprived environment. The heart rate slows down, blood vessels in the extremities shrink to preserve blood for vital organs, and the spleen contracts. This contraction of the spleen creates an oxygen boost by ejecting oxygenated red blood cells into circulation and has been found to provide up to a 9% increase in oxygen, thereby prolonging dive time. In order to gain evidence for this study, Melissa Ilardo spent several months in Jaya Bakti, Indonesia taking genetic samples and performing ultrasound scans of the spleens from both the Bajau and their land-dwelling neighbours, the Saluan. The results were sequenced at the University of Copenhagen and clearly showed the Bajau have a median spleen size 50% larger than the Saluan. 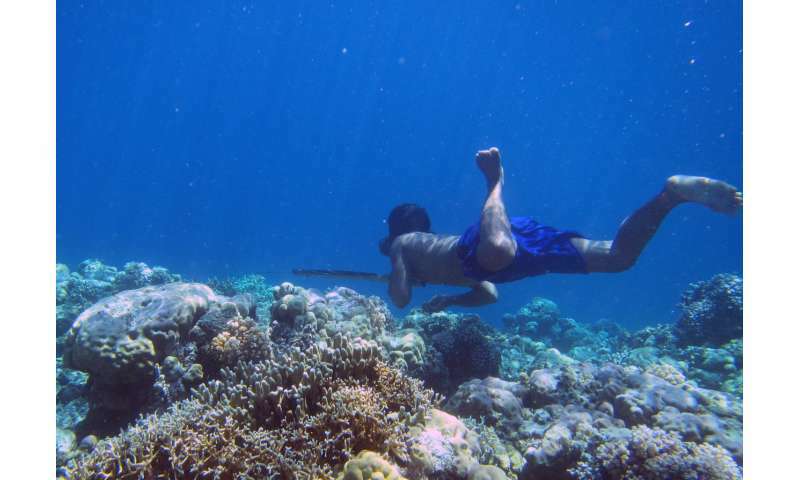 Enlarged spleens were also visible in non-diving Bajau individuals as well as those who regularly free dive. The international research team, led by academics from the Universities of Copenhagen, Cambridge and Berkeley, therefore eliminated the possibility that larger spleens were simply a plastic response to diving and began to investigate the Bajau's genetic data. They discovered that members of the Bajau have a gene called PDE10A which the Saluan do not. It is thought that the PDE10A gene controls the levels of thyroid hormone T4. 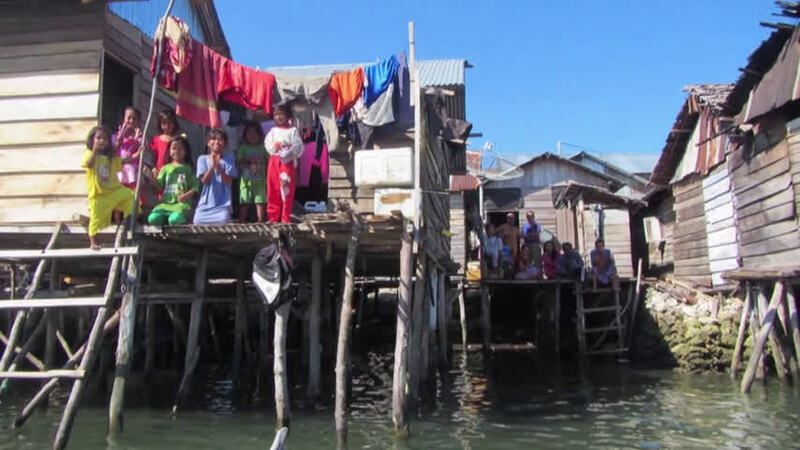 "We believe that in the Bajau they have an adaptation that increases Thyroid hormone levels and therefore increases their spleen size," said Melissa Ilardo. "It's been shown in mice that thyroid hormones and spleen size are connected. If you genetically alter mice to have an absence of the thyroid hormone T4, their spleen size is drastically reduced, but this effect is actually reversible with an injection of T4." This is the first time a genetic adaptation to diving has been tracked in humans. Ilardo added, "until now it has been entirely unknown whether Sea Nomad populations genetically adapt to their extreme lifestyle. The only trait previously studied is the superior underwater vision of Thai Sea Nomad children, however this was shown to be a plastic response to training, and was replicable in a European cohort." Ilardo was originally warned against undertaking this study for her PhD at the University of Copenhagen by her supervisors - Professor Eske Willerslev who holds dual positions at St John's College, Cambridge and the University of Copenhagen, and Professor Rasmus Nielsen who also holds dual positions, at the University of Copenhagen and the University of California, Berkeley. "We told Melissa that this was a very risky PhD and she needed to be aware that it was likely she would find nothing," said Professor Willerslev. "She said she wanted to do it anyway and that paid off. Melissa was right and our concerns were wrong." The study also has implications for the world of medical research. The human dive response simulates the conditions of acute hypoxia in which body tissue experiences a rapid depletion of oxygen. It is a leading cause for complications in emergency care and as a result is already the subject of several genetics studies, specifically in relation to people groups who live at high altitudes. Studying marine dwellers such as the Bajau has great potential for researching acute hypoxia in a new way. "This is the first time that we really have a system like that in humans to study," said Dr Rasmus Nielsen. "It will help us make the link between the genetics and the physiological response to acute hypoxia. It's a hypoxia experiment that nature has made for us and allows us to study humans in a way that we can't in a laboratory." These findings open up the possibility of further research on other Sea Nomad populations such as the Thai Moken population and the Haenyeo diving women of Jeju in South Korea. Studying similar people groups could shed more light on the nature of the connection between human physiology and genetic adaptations to extreme lifestyles, and clarify whether these genetic adaptations have developed separately. Taking the next steps in this area of research is a somewhat urgent task, as the traditional ways of life are under threat in a lot of communities. "This study is a wonderful example of the value of studying these small populations living under extreme conditions," said Professor Eske Willerslev. "A lot of them are threatened and this is not just a loss culturally and linguistically, but for genetics, medicine, and sciences in general. There's still a lot of information to be gathered from these understudied populations." In "evolution", in most forms, even Darwinian and Lamarckian, the rule is that a trait dies out and another arises because those with the older trait cannot adapt well to circumstances and so cannot attract mates or are killed by the environment, by starvation of r threat. It's been accepted, though, that human societies have implemented facets that circumvent such things. Familial and group loyalty, allowing individuals to survive through the generosity of the group, if, for example, they deep dive, say, 5 minutes less than others, and social characteristics like popularity can allow an individual to get mates even if they dive, say, 10 feet less deeply than others. This "study" is suggesting that there is an inherent form for deep diving and, when it is necessary, it asserts itself, slowly. It is a pleasure to observe authority figures with the strength of character to publicly admit they were mistaken on an issue. And crediting the person whose efforts proved the original concerns were incorrect. A shiny example that all authority figures should emulate. And I guess the rest of us as well? I am speculating here. The Tibetans and Andean peoples have some genetic differences as to their adaptation to high-altitude environments. I have read of other groups of diving tribes in Japan and along the east coast of Asia. Perhaps further research could discover if all the diving communities share the same phenotype or if there maybe variations? In "evolution", in most forms, even Darwinian and Lamarckian, the rule is that a trait dies out. There is no "Lamarckian" evolution, even epigenetics is genetic based and vanish after 1-3 generations. Differential reproduction allows for 3 selective "rules": drift (majority of genes), purifying and adaptive (least amount of genes) selection, and whether or not that leads to trait extinction is complex. E.g. so called balancing selection has rare extinctions, say our blood types. Now you switched sense of "form". But no, this was adaptive selection on a new allele - and new alleles emerge from some mutation. Above all, this was evolution, not "lamarckian pheromones".